Ham and Cheese Stromboli appetizer recipe is begging to be served at your next game day party or holiday gathering! 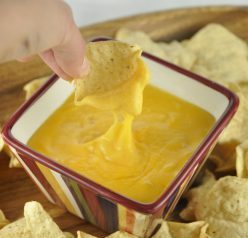 Oozing with cheese, this snack could easily pass as a main course for dinner! 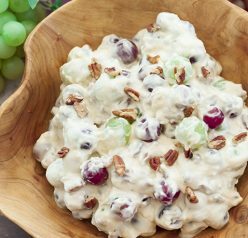 Amidst all of the hustle and bustle of the holidays, it’s easy to forget about game day party food. Oh, and don’t forget there are plenty of girls who party it up for the big games on Monday nights! I don’t know a single girl (or any person, really) who would ever pass up this Ham and Cheese Stromboli appetizer paired with some amazing sparkling wine to enjoy while watching these football games together. Game day requires serious snacks and drinks – and game day food doesn’t always mean just dips! 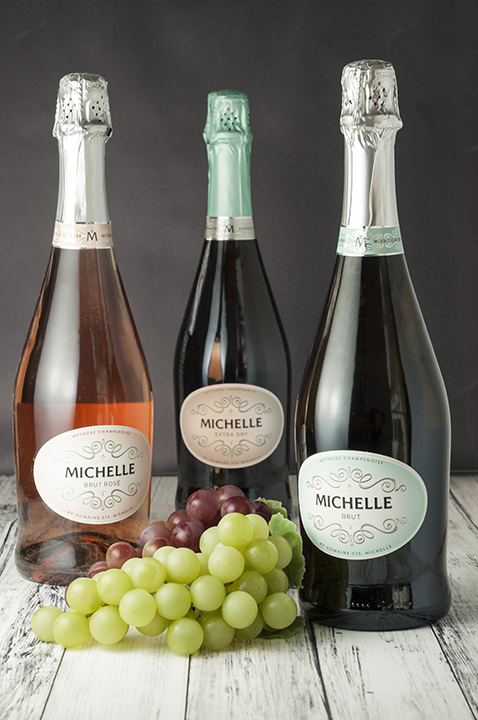 I recently discovered Michelle Sparkling Wine and I have to say, it’s going to be difficult to ever go back to other brands of sparkling wine! 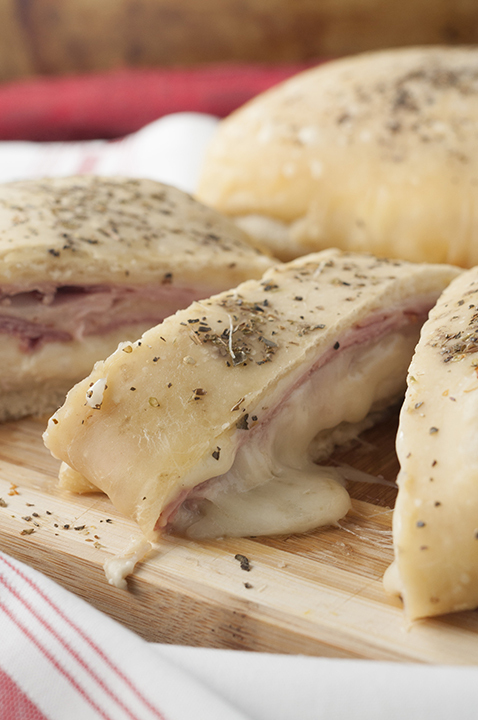 It is hard to think of a beverage that would go better with this Ham and Cheese Stromboli…or any appetizer for that matter! It’s so affordable and my new go-to for sparkling wine. Whichever variety of Michelle Sparkling Wine you choose to enjoy at your next game day party (Brut, Brut Rose or Extra Dry), you can guarantee it will be the perfect accompaniment to whatever food you decide to serve. Their sparkling wine is made from premium grapes sourced from Washington state’s Columbia Valley with the ideal balance of sunshine and cool evenings to help establish superior flavor and crisp acids. The delicate flavors of apples and citrus and lively acidity of the Michelle Brut is simply delicious. My personal favorite is the Michelle Brut Rosé which is a tasty blush sparkling wine, with a lovely aroma and a positive first impression of berries in the nose and on the palate. The Rosé is dry with a soft and fruity aftertaste. 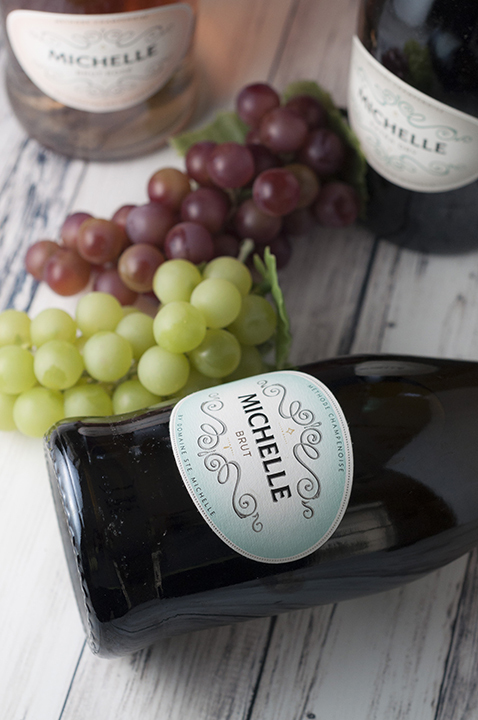 If you like a sweeter sparkling wine, you will love Michelle Extra Dry. It is extremely delicate, elegant and exposes flavors of apples and pears with an unrelenting column of bubbles. I was in carb heaven with this Ham and Cheese Stromboli. Just take a good look at that oozing cheese and try to pass this up when it’s served at your next game day! I can also see this being served at Christmas Eve, New Year’s Eve, work potlucks, or other holiday parties. It’s so easy to make and can be put together in no time at all – it’s the same concept as my Pepperoni Pizza Bread which is always loved when served to company. Watch how fast this disappears! Preheat oven to 425 degrees F. Spray a baking sheet with non-stick cooking spray. Unroll pizza dough onto your greased baking sheet, spreading towards the edges and stretching into a large rectangle. Sprinkle garlic powder evenly over the surface of the dough. Spread honey mustard in a thin, even layer using a pastry brush. Evenly place the ham and cheese on top and then roll dough lengthwise folding in the sides as you go. Make sure it's sealed on the sides so the cheese doesn't all leak out. Sprinkle top with garlic powder, then make a couple slits into the top of the dough with a knife to allow heat to escape during cooking. 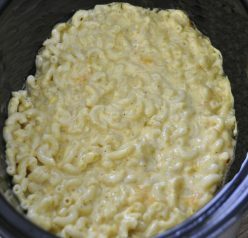 Bake in preheated oven for 10-15 minutes or until golden brown on top and cheese is melted. Serve with honey mustard for dipping, if desired. Enjoy! OMG, these gooey cheesy savory stromboli look AMAZING. I am officially appetized! 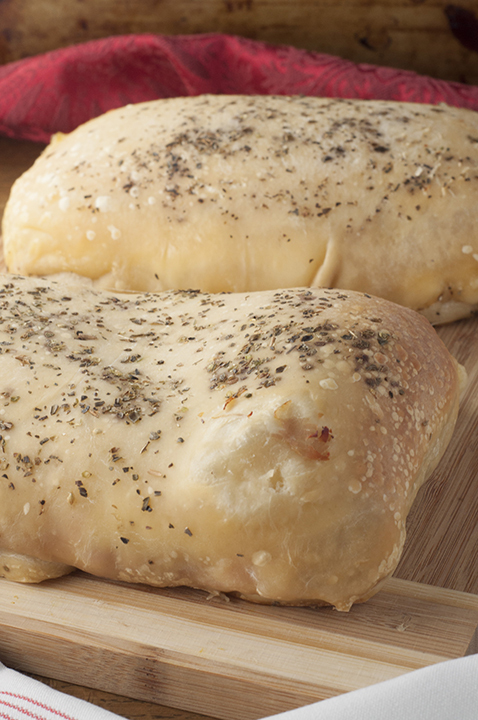 Stromboli is a favorite of mine and yours looks amazing! Now I want to head to the store and pick up some vino! I want sparkling wine at my game day festivities!!! Waaaaaaay better than stinky beer.. lol. <3 And this stromboli looks divine too. I’ve never seen this brand before, but it sounds good! And I love stromboli – perfect meal. I haven’t tried this brand of bubbly, but now I have to find it! I love that ooooey gooey cheese! I have never seen this brand before but I love trying new wines! Thomas loves to order Stromboli when we go out to the little Italian place downtown and you know, I never make it for him at home. I need to change that.ooo my and that Michelle Sparkling Wine is right up my ally! This looks like it needs to happen in my house soon! It’s so melty and cheesy and wonderful looking! I love a good stromboli. This Rose looks delish! I can’t wait to try your stromboli recipe too. We love strombolis and calzones for easy weeknight dinners. Will this work with American cheese? We used to go to a pizza parlor & theirs was American cheese. Yes it definitely would work! Sounds yummy.